As fate would have it, The Walking Dead New Season Premiere coincided with Valentine’s Day this year. Loyal ‘Dead fans’ certainly had to make the difficult decision: DVR it, or stay in and watch the show. One girlfriend decided to surprise her Walking Dead fan boyfriend and created a combo Valentine’s Day/Walking Dead celebration. 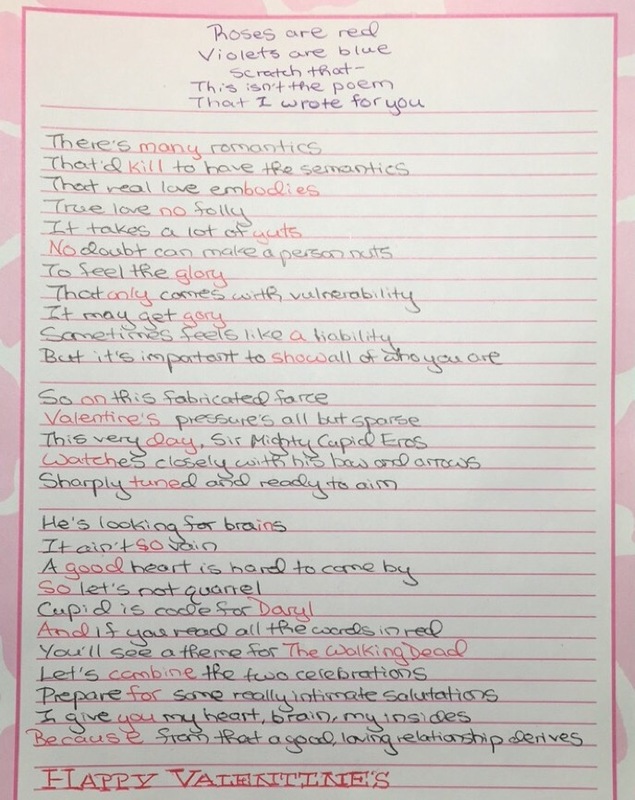 Tying in elements of both Valentine’s Day and The Walking Dead, she wrote out a Valentine’s Day card with a hidden message. “I give you my heart, my brain, and my guts…” was accompanied by her presenting him with a steak (heart), ground sirloin beef (brains), and ground beef (guts). She then proceeded to reveal that these were the menu choices for the romantic dinner that evening. The heart was chosen, and a delicious “blood” steak was concocted. 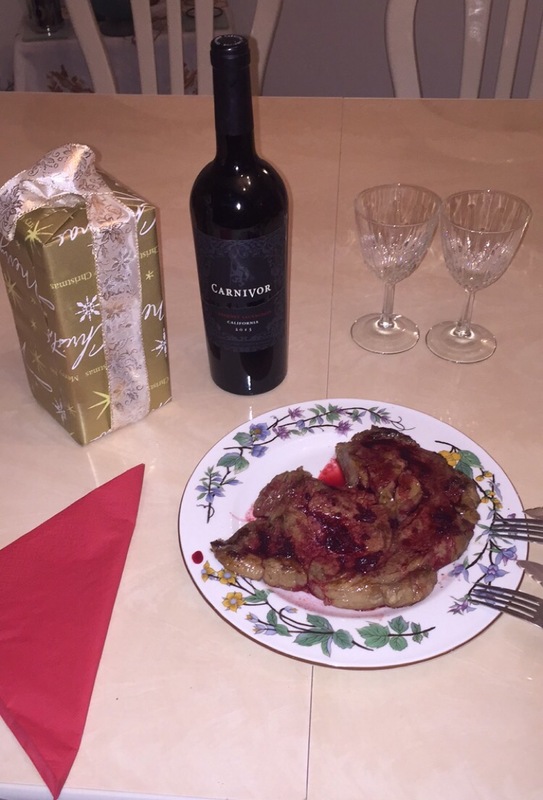 Boyfriend got to enjoy the season premiere of The Walking Dead with his girlfriend in front of the tv eating their Valentine’s Day ‘The Walking Dead’ themed dinner paired with Carnivor brand cabernet. Best. Valentine’s. Walking Dead Premiere. Ever.